A quick tour inside the banner sign factory. All over the nation companies are turning towards the expert services provided here for custom business signs and banners. A customer can instruct the factory to make individual custom signs for business and use the online service for buying custom work. 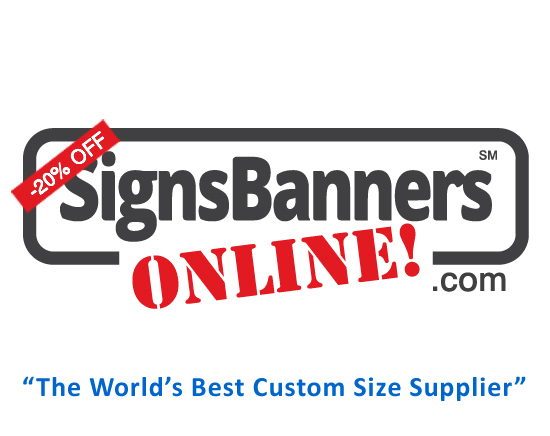 VISIT THEIR YOUTUBE CHANNEL for options when making custom signs. They also custom discount and custom material to suit your client. If you are seeking a professional outfit for your work, printing or sewing signage banners this the one stop shop for you. Also, it's ideal if your'e in Atlanta or Columbia, New Jersey or Sacramento... they ship out free to all states and over 150 countries so getting your sign is now fast easy and very well made. Cheap too! They also have on duty staff to assist.